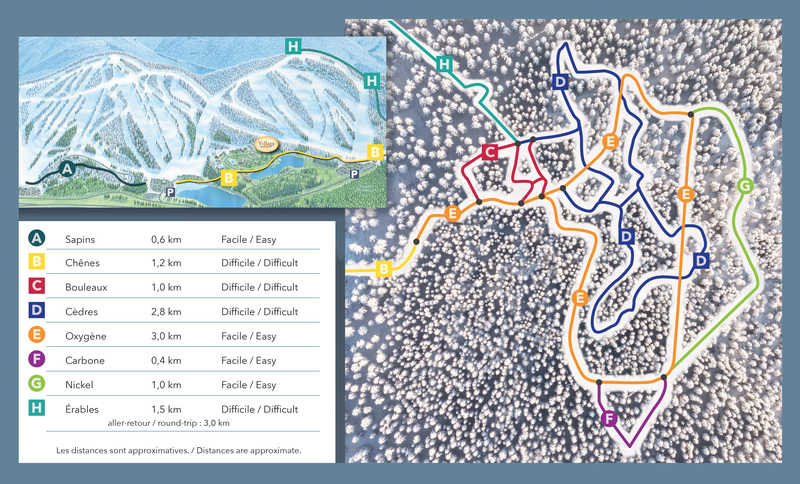 Mont Blanc has charted over 11 kilometers of snowshoe trails through the woods around our mountains. 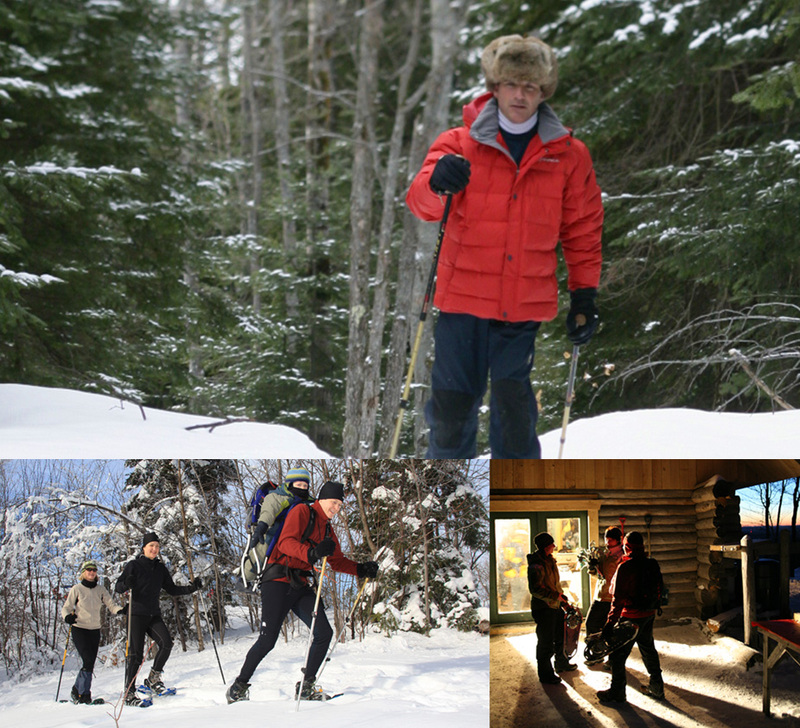 Each of our eight trails is free to explorers and provides a unique winter adventure. From shorter trails under half a kilometer to trails of 3 km or more that arc over the mountain, the trails range from easy to moderate and are great for winter adventurers of all ages.